Ron Carpenito, a top realtor for 15 years at Keller Williams Realty Andover, has been awarded Triple Gold Volume Top Producer by Keller Williams Realty National. 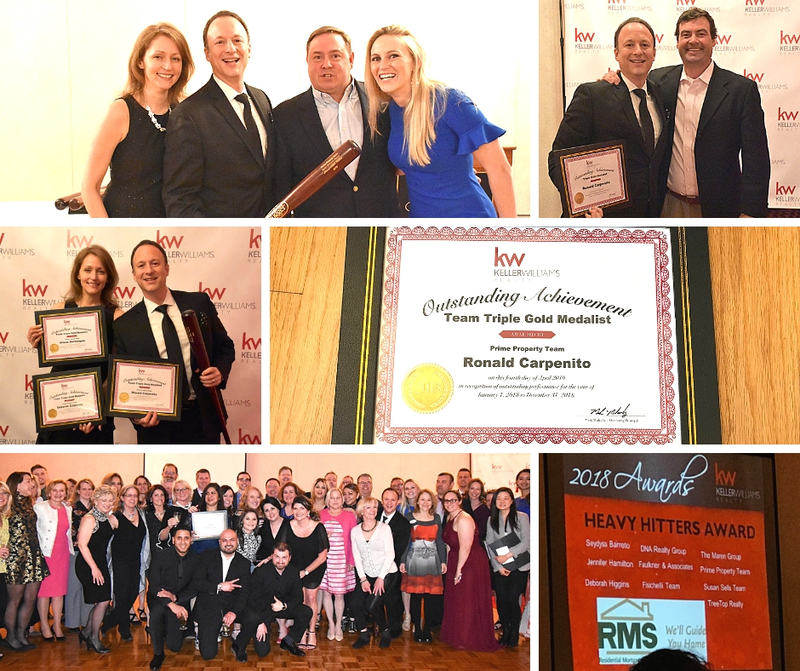 Ron Carpenito and the Prime Property Team, have been recognized as top producers in Andover, MA and surrounding areas. The Awards Ceremony Gala was held held at Lenzi’s in Dracut and at the upcoming Northeast Association of Realtors Annual Recognition Gala at the Andover Country Club in May. The awards are based on the number of transactions closed and the level of dollar volume sold. In 2018, Ron and the Prime Property Team sold 32 units and over $12 million in sales volume. They were honored with a Triple Gold Medalist Award and Heavy Hitter Award. The Prime Property Team has been consistently growing over the years; in 2014 awarded the Bronze Production Award, 2015 Silver Production Award, 2016 Gold Production Award, 2017 Double Gold Production Award, and now 2018 Triple Gold Medalist Annual Production Award! Another client states, “Ron and his team helped us sell our place and buy our next one. He took time to explain the process, to help us set realistic expectations, and to guide us through the process so we felt supported and able to make the required important decisions. Having built strong relationships with all members of the real estate process including financing and legal, Ron has a network of knowledgeable, helpful professionals who make the process of selling and buying real estate as comfortable as possible. Many thanks again!” – Joda G.